You'll be £14.99 closer to your next £10.00 credit when you purchase Tracing Your Birmingham Ancestors. What's this? Birmingham, the cradle of the industrial revolution and the world's first manufacturing town, is an important focus for many family historians who will find that their trail leads through it. Rural migrants, Quakers, Jews, Irish, Italians, and more recently people from the Caribbean, South-Asia and China have all made Birmingham their home. This vibrant history is reflected in the city's rich collections of records, and Michael Sharpe's handbook is the ideal guide to them. He introduces readers to the wealth of information available, providing an essential guide for anyone researching the history of the city or the life of an individual ancestor. 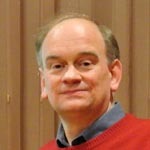 His work addresses novices and experienced researchers alike and offers a compendium of sources from legal and ecclesiastical archives, to the records of local government, employers, institutions, clubs, societies and schools. Accessible, informative and extensively referenced, it is the perfect companion for research in Britain's second city. This is a very well written and thoroughly enjoyable account of the unique nature of Birmingham and the surrounding areas, including Solihull and Sutton Coldfield (where I was born). Mike Sharpe describes the growth of Birmingham from its days as a rather insignificant parish compared to its neighbouring, more wealthy, Aston to the modern conurbation we see today. The complexity of changes in boundaries and jurisdictions is explained: “Where is Birmingham?”, “It depends” and put into context with the search for genealogical records. The history of Birmingham is followed by a description of the major genealogical sources and where to find them. 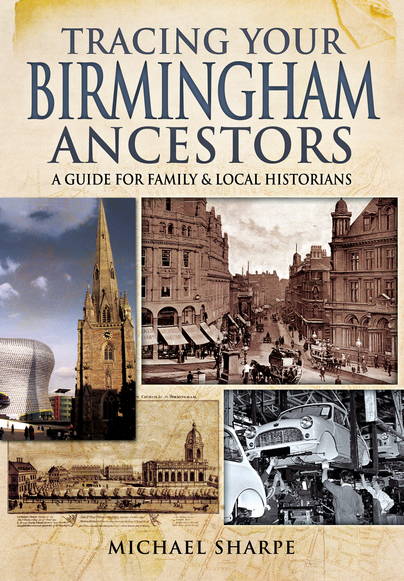 Rather than attempt to teach the basics of family history, not appropriate in a volume of this type, the descriptions are focused on the records available for Birmingham. Areas of focus include religion, trades, education, health, transport, crime and housing. I found the section on industry particularly interesting as a number of my ancestors were in the trades: brass workers, wire drawers, gunmakers and even a brass bedstead maker. The major repositories in the Midlands area are described, references provided for the major classes of records and details given of many indexes and paper catalogues not available through the online catalogues. However, Mike doesn’t just focus on archives in Birmingham but also tells you where else to get access to Birmingham records. There are many references to specialist websites and museums and the BMSGH (Birmingham and Midland Society for Genealogy and Heraldry) and the Midlands Historical Data website feature repeatedly. Thoroughly recommended for anyone with ancestors from Birmingham and the Midlands. One thing that makes this work stand out amongst past works though is that Sharpe not only lists archives and their resources, their current 2015 locations and in some cases how they can be accessed, importantly he also gives a rough guide as to what it is that is contained within those repositories. Admittedly his guidance may not be conclusive but he takes into consideration that over time many items may have been moved or re-catalogued, particularly due to the opening of the new Library of Birmingham in 2013. This prior knowledge of the location of a document in itself may prove to be extremely useful in being able to maximize the time having to be spent on research, along of course with its success. It is definitely a useful reference book for any researcher to have to hand to dip into when looking into the genealogy of Birmingham. There's been a gap in the market for a book like this and Michael Sharpe fills it very ably... Tracing Your Birmingham Ancestors will be very useful to most researchers whether their ancestors stayed put or were just passing through.